Chilly streets were coated with a dusting of soft white, and outside Glasgow’s Winter Night Shelter those who would otherwise be homeless queued as usual, before it opened at 10pm. Chris – the name chosen by The Ferret to protect his privacy – was among them. He was a tall guy, likeable and friendly though times were tough for him by then. He would have been searched at the door by staff or volunteers with the Glasgow City Mission, the organisation that runs the the shelter, before selecting a floor mat and getting into his sleeping bag. But on the morning of January 31, Chris didn’t wake up. It was in the early hours that someone noticed he wasn’t breathing. Paramedics and police were called but by then nothing could be done. Chris was just 44. According to new data released today by the Ferret – working in partnership with the Bureau of Investigative Journalism – he was one of at least 94 men and women who have died while homeless in Scotland in the last 12 months, almost two people a week. They include 42 deaths recorded in the Bureau Dying Homeless database, along with a further 52 which The Ferret has learned of. Our investigation suggests the numbers – which have until now not been recorded by any one organisation – are likely to be a significant under-estimate. Now senior figures working in homelessness are calling on the Scottish Government and NHS Scotland to urgently investigate the deaths of those who are homeless, and for the statistics to be recorded across the country, as they are with drug deaths. The Bureau, which first started recording deaths on 1 October 2017 as part of its Dying Homeless Project, has revealed today that at least 449 people have died homeless in the last year across the UK, more than one person a day. Again, the number is likely to be an under-estimate according to homeless organisations. The Office of National Statistics (ONS) has now requested access to the Bureau’s database to help it produce estimates on homeless deaths. It hopes to report later this year. Of that UK total, 138 people can be publicly identified – more names are known to journalists but they have been withheld at the request of those who knew them. The way people died was known in 128 cases. More than half the 128 – 65 people – died on the streets, 16 died in hospitals and 47 in temporary homeless accommodation including B&Bs, hostels and temporary furnished flats (TFFs). Deaths of the “hidden homeless” – including those who were sofa surfing or in prison – were also counted. Almost 70 percent were men. The average age of death for men was 49 years old, and for women it was 53. According to research by Crisis, the average age of death for homeless men is 47 and 43 for women. For the general population it is 74 for men and 80 for women. Recent research by the Scottish Government also confirmed homeless people are at much greater risk of premature death than the general population. The Bureau was told of people found in shop doorways, others in tents. Some were sent, terminally ill, to dingy hostels and others saw out their last days in hospital beds. Some lay dead for hours, weeks or months before anyone found them. Three men’s bodies were so badly decomposed by the time they were discovered that forensic testing was needed to identify them. In Scotland people who died while homeless included Darren Greenfield, a homeless ex-soldier from the Royal Tank Regiment, who struggled to cope after leaving the army. He died last December after contracting an infection while sleeping rough in Edinburgh. Family and support organisations said they tried to help but he was not ready to leave the streets. Two months later an unidentified man was found dead in the city, sleeping rough on a mattress in -5C. Dr John Budd, who works for the Edinburgh Access Practice (EAP) and has been recording the deaths of his patients, noted a further 20 deaths. Two of them had been murdered while homeless. Ian Kirkland died on the streets of Paisley. Stephanie Fraser was just 25 when she died in a Dundee hostel the same month. The Soapwork Lane hostel, managed by housing support group Transform, provides rooms to support some of the most vulnerable people in Dundee, including rough sleepers and people with addictions. Just days earlier a 35-year-old man had also died there. 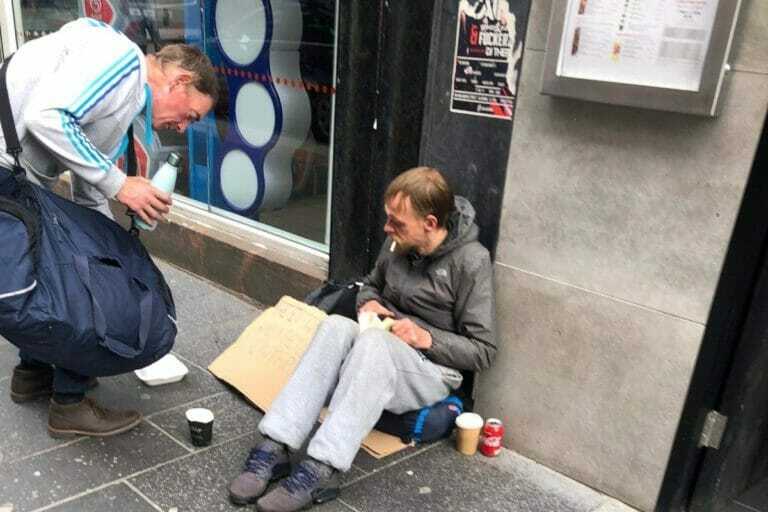 In Glasgow Graham Dallas, a well-loved member of Help The Homeless Glasgow – a volunteer-led organisation which runs a soup kitchen in the city – died in March. 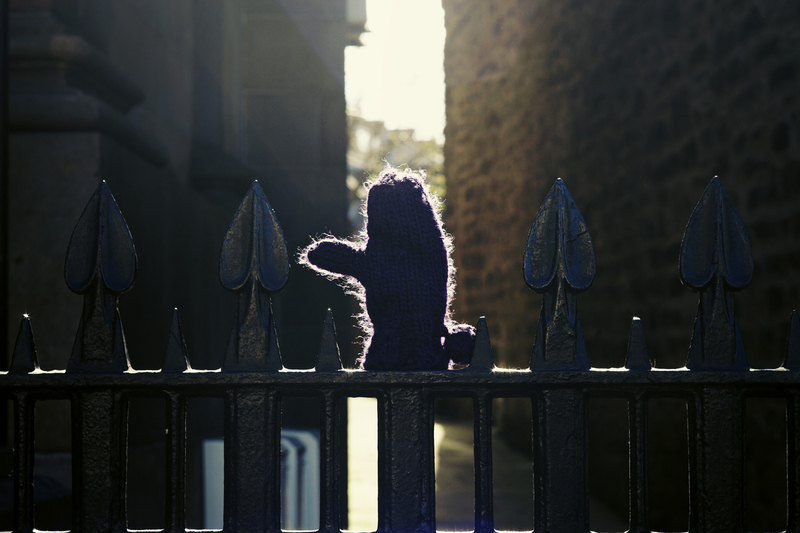 After suffering a tragic bereavement friends thought he was beginning to turn a corner. He didn’t make it. Figures from the critical incident and homeless deaths group, set up by Glasgow City Council in 2016, show 47 people with open homelessness assessments died in the city between October 2017 and October 2018. These included people in temporary furnished flats and hostel accommodation. 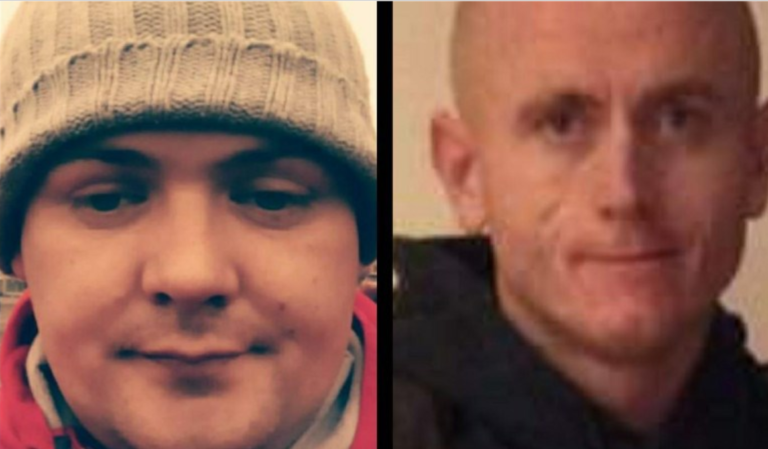 Others in the city who died homeless include Robert, who had “a fantastic singing voice”, Linda – described by one support worker as “proper lovely” – John, who is said to have once known far better times and Jason, who would have been 30, if that. The Ferret has verified they were homeless at the time of their deaths. Graham Dallas and Kris Hunter. Graham died in Glasgow in March. Then there was Chris’ death in the night shelter. Grant Campbell, Glasgow City Mission chief executive would not confirm his identify for reasons of confidentiality but said: “Sometimes the levels of brokenness and despair experienced by our guests can be heart-breaking, none more so than this. He confirmed that an internal review had been carried out, which concluded nothing could have been done differently to prevent his death. The Procurator Fiscal (PF), which is tasked with investigating sudden or unexplained deaths (as well as suspicious ones) confirmed that it did not receive a death report and so will carry out no investigation or fatal accident inquiry. Of a list of 19 names provided by The Ferret, the PF said seven were being investigated for related criminal inquiry. One mandatory FAI will be held following the death of a homeless man who died in Barlinnie. Also in Glasgow, nine people died in Simon Community Scotland supported accommodation over the last year, while other deaths were reported in hostels around the city – including the Bellgrove Hotel – and beyond. Some died of drug overdoses, others of health conditions, or as a result of violence and suicide. The body of one man who died in England showed signs of prolonged starvation. Hugh Hill, director of operations for Simon Scotland, said he was “appalled” by the number of people dying. He claims the deaths are largely linked to past trauma and the use of drugs, alcohol and self-harm to cope. Workers said there was a clear cross-over between drug and homeless deaths, with several staff at homelessness services in Glasgow noting the number of people killed by street Valium in recent months. In 2017 there were 934 drug-related deaths. The average age of death was just 41. Of about 120 people known to be affected by HIV in the city the outbreak around 20 have died of non HIV-related causes. “The first thing is to end homelessness by providing homes to people and giving them all the support they need to stay in them,” he added. Several cities in Scotland are now working towards the roll-out of Housing First models, a system pioneered in the US and Europe which turns on its head the conventional practice of supporting complex needs such as addiction first, to help homeless people become “tenancy ready”. Instead they are given the security of a home, with wrap around support then provided. Last week in Glasgow 54 longterm homeless people were handed the keys to new flats under the scheme, which hopes to break the cycle of suffering and premature mortality. Intensive support is provided in everything from paying bills to accessing health services, further education, training and employment opportunities. Maggie Brunjes, chief executive of the Glasgow Homeless Network, said there was a proven “independent risk factor for mortality” for those who are homeless. Even compared with people living in areas of high deprivation or with common experiences of stress, poor health and addictions – people who are homeless still die younger. Graeme Brown, director of Shelter Scotland, said the numbers were “a disgrace”. “Shelter Scotland believes much more should be done to find out what can be done to prevent these personal tragedies being repeated,” he added. “Each of these people was someone’s child, someone’s brother, sister, mother or father and their loss will be felt by those around them. He called for the Scottish Government to use some of £50m pledged to its Ending Homelessness Together Fund towards investigating why people are dying while homeless, and re-designing services to help those failed by the system. Housing Minister Kevin Stewart said: “The avoidable death of any vulnerable person in our society is a tragedy, and preventing and ending homelessness are priorities for the Scottish Government. He claimed that data linking health and homelessness, and published in June, will helping influence related policy. Stephen Mitchell, day centre manager at the Lodging House Mission – which from December 1 will again host Glasgow City Mission’s night shelter – has worked in homelessness for over three decades and claims homelessness can strip people of their identity. “It’s tragic that it takes a fatality to make people sit up,” he said. “But there is value still in remembering every single one of the people who have died while homeless. “Let’s get to know why they died and how they came to be in such tragic circumstances. Did the system fail them? Let’s find out and if so, fix it and make it so it cannot happen again.